Experience the freedom of living on water as you never have before! Experience a luxurious time-out on the water like you never have before! 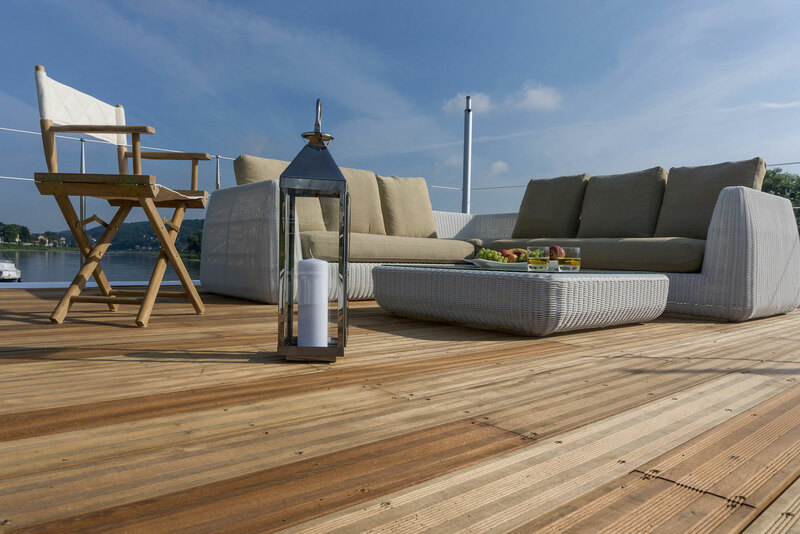 Extraordinary luxury is awaiting you aboard the beautiful H2 Lofts, anchored right in the centre of Berlin in one of its most beautiful neighbourhoods. Enjoy absolute/maximal comfort right in the middle of nature and gorgeous view of the waters through the houseboat’s generous and large sized panoramic bay windows. 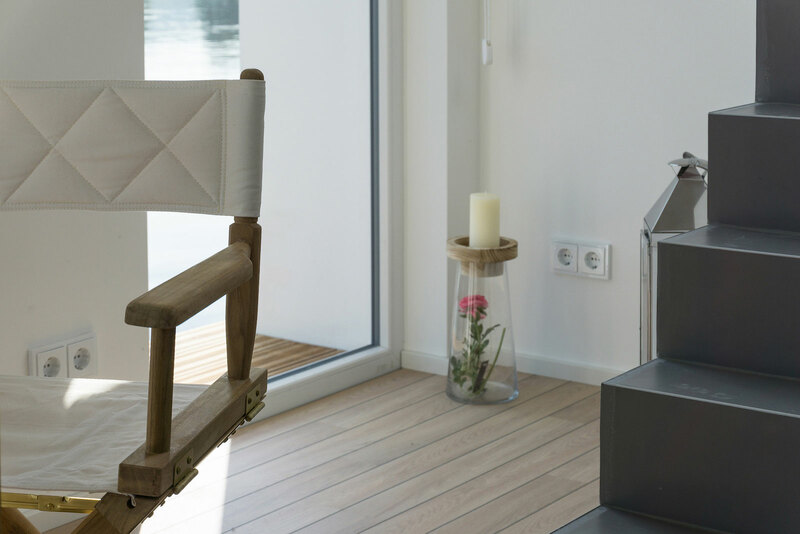 All your wishes will be fulfilled aboard the H2 Lofts – whether you relax in the on-board sauna, or enjoy the large Jacuzzi on the boat’s rooftop… you will find a soothing sensation of inner peace and calm while you relax in this special place, far from the demands and stress of daily life. 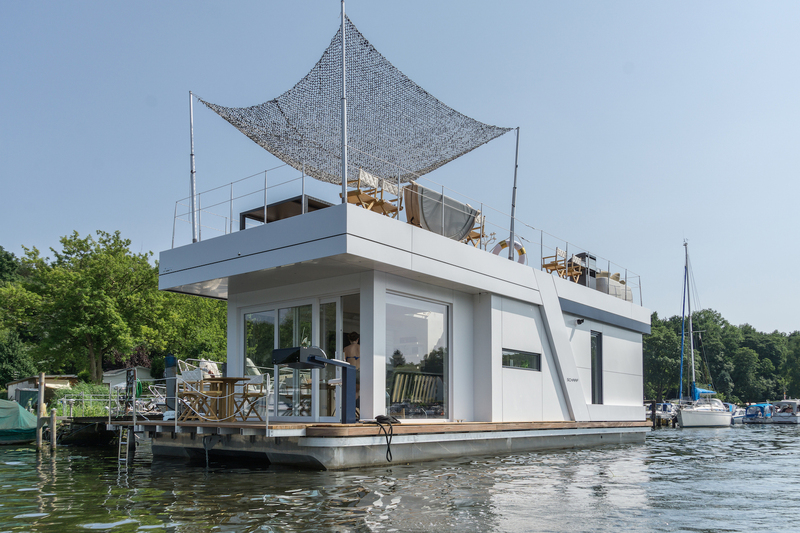 Anchored on the shores of the Pichelswerder Lake right in Berlin’s centrally located and renowned neighbourhood of Charlottenburg, our luxurious houseboat is the ideal place to relax in the silence of nature amidst idyllic surroundings. We offer a wide variety of services aboard our luxury boat, including first class catering, pick up services, etc., all specifically tailored to your very needs and wishes. The H2 Loft was designed by architects and completed in 2015. Its maiden voyage was in May 2015 and since, offers you a one-of-a-kind place for a luxurious time-out.